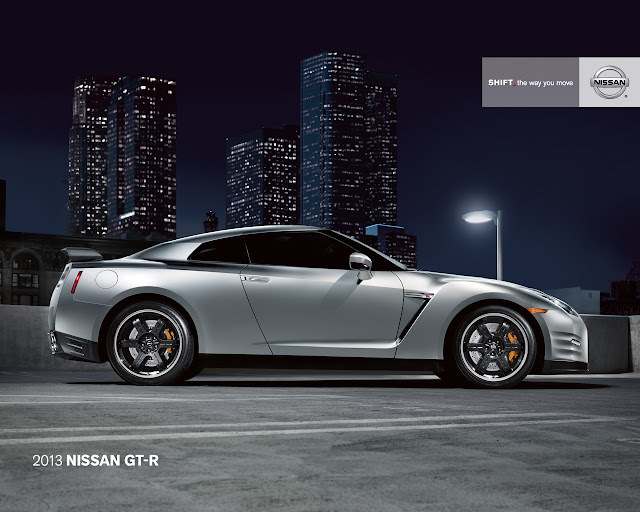 Even though 2012 was just starting, the 2013 Nissan GT-R was being pitted against the rest of the world. 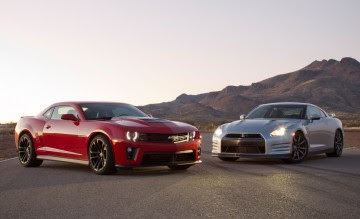 In this test from Car and Driver, they pit the 2012 Chevrolet Corvette Z06 vs the 2013 Nissan GT-R, and the 2012 Porsche 911 Carrera S. "The ’13s, which have improved shift feel, the factory claims, plus the 15 extra horses, aren’t likely to be much different." 35 units were sold vs 38 in December 2011. It seems that short supply, plus reports of the 2013's increased horsepower might have stolen a few sales. Total sales for 2011 was 1294 cars vs 877 in 2010 an increase of 47.5%. 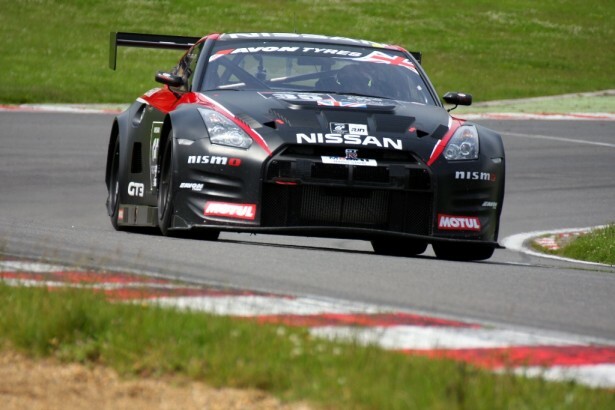 Nismo jointly with JRM Motorsports have just released details of the FIA GT3 spec Nissan GT-R. The car has been in development during 2011, with three outings. 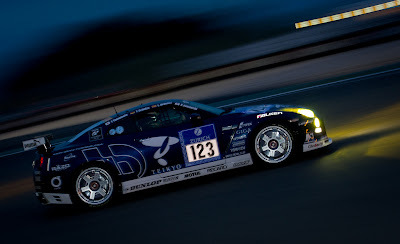 The GT3 is now available for sale at 32,000,000 Japanese yen, or around $416,000 USD. The 1300 kg(2866 lb) GT3 GT-R features the twin turbo VR38DETT engine, making 530(or higher) horsepower, in line with the 2012 US car. 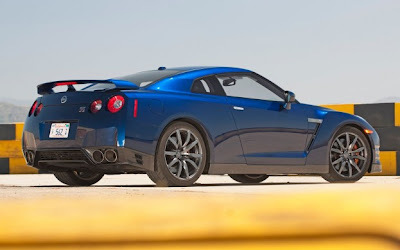 The Nissan GT-R that took down the Corvette Z06 and Shelby GT500 in our budget supercar comparison earlier this year is the quickest all-wheel-drive car to conquer the figure eight, out-pacing the mighty 911 Turbo by 0.2 second. 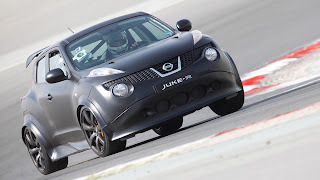 Just to illustrate how volatile the vehicle testing game can be, the GT-R that finished runner-up in the 2011 Best Driver’s Car story needed 23.7 seconds around the same course." 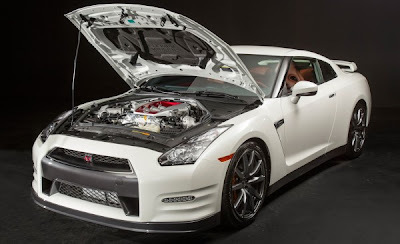 Inside Line: 2012 Corvette Z06 vs 2013 Nissan GT-R. "And even though it has a 3.7-inch-longer wheelbase, is 7.5 inches longer overall and is packing an extra 642 pounds over the Vette, the GT-R actually feels smaller and more of one piece. Its best lap time was a 1:23.8." 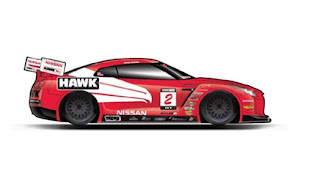 CRP planned on running a couple of Nissan GT-R's in World Challenge GT. That never really panned out that well during 2012. Road and Track Magazine pitted a Camaro ZL1 vs a Nissan GT-R. "The clocks show that the ZL1 is 2.8 seconds off the GT-R at Inde. Even with PTM, no-lift shifts and launch control, the ZL1 is simply the harder car to drive. It’s heavier by nearly 200 lb., thanks in part to a beefy 9.9-in. differential that’s built to handle the torque but is nearly twice as heavy as that used in the SS." 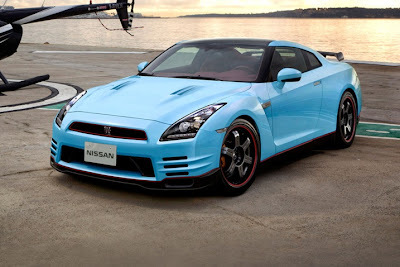 Switzer released their Ultimate Street Edition Nissan GT-R. Doesn't look like much right? Well that is the point. 927 all wheel horsepower on 93 octane is the answer to your fly yellow, widebody, hamster power. 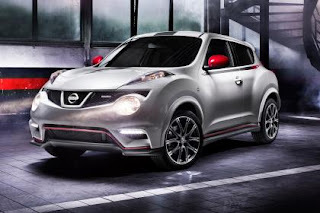 Motor Trend picked their best drivers car for 2011. Somehow the Nissan GT-R made it in the mix. 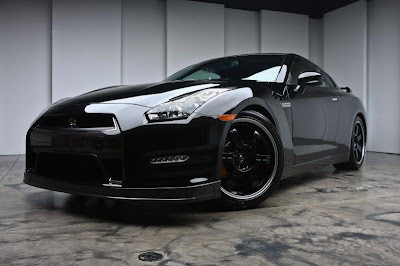 "Bell’s reaction to the Nissan’s brutal acceleration is “that was truly magnificent!”"
Jay Leno drove one of SP Engineering's Nissan GT-R's and featured it on his video blog. Launch control 4 and 5. New year new version of launch control with continued improvements in the 0-60 times. 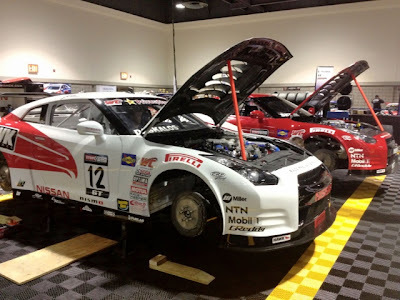 That is a 1600 horsepower Nissan GT-R from AMS. The Alpha Omega. Its a invisible barrier that has been so very close to being broken, with several cars in the 10.0 second range in the quarter mile, but this is the first Nissan GT-R in the 9's on stock turbos. Stock the Nissan GT-R does anything from high 11's in the case of the 2009 car, down to the low 11 second range with the 2012, and 2013 cars. Today at Island Dragway, a stock turbo, stock transmission, stock engine, Nissan GT-R went 9.870@140mph. Huge MPH, awesome 60 foot with a 1.476 on LC4 or launch control version 4. The GT-R was tuned by Jack Cecil atHorsepower Logic on E85. 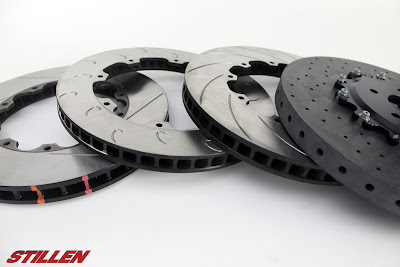 Nissan GT-R brake upgrades. The 2012 bolt on 390 mm x 34 mm finally made it in, and I did a happy dance. California introduces a bill to exempt pre-1981 vehicles from emissions inspection requirements. 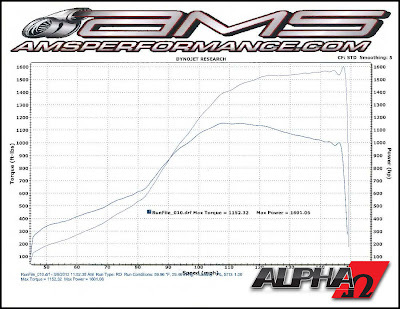 29.5 peak boost, 8400 rpm through the traps! He was not out of gear but rather out of aero. 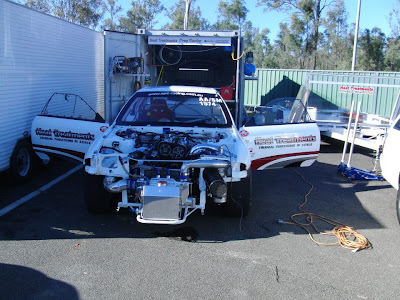 He said he could of spun it to 8900 but the car was just too much of handful with stock aero." 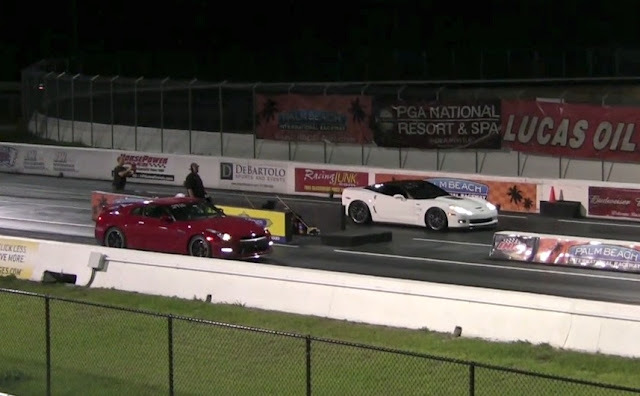 March 16-18th, 2012, two Nissan GT-R's went deep into the 8 second range in the quarter mile. 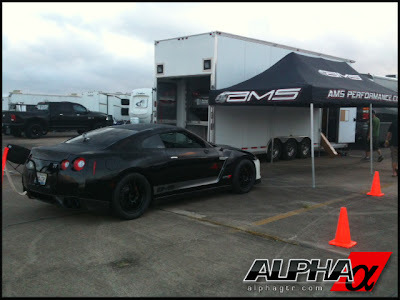 One car, the AMS Alpha 12 GT-R, had held the record with a 8.97@169 mph quarter mile pass since July 2011. On Friday at a private track rental in Las Vegas, the SP Engineering built, Greddy backed, Hing driven Nissan GT-R put the power to the track, and ran a best of 8.793@167.68 mph. 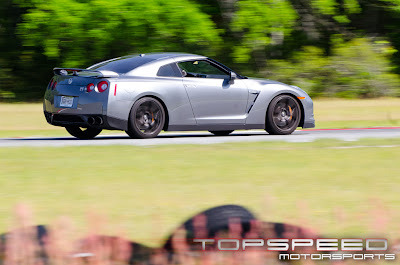 Top Speed did a test of the Michelin PSS Tire Test in various sizes on a Nissan GT-R. "PSS Square - This was awesome. This setup "fixed" the understeer that the stock and staggered PSS setups had. The front responded well to steering inputs and had the overall front grip to make the car turn. Although not as sharp as the Potenza the general front grip made up for that. Overall grip increased but only marginal the big difference was the balance. The time was a full 1.0 second quicker using this setup! 80% of that time increase was thanks to the better balance in the car. Actually I would say the car was almost perfectly balanced (for a completely stock car). Slight understeer in lower speed corners with slight oversteer in entry to med and lower speed corners, which is simply a GT-R character trait. It was easier to find the limit of the tire and that resulted in a great overal feeling and confidence. 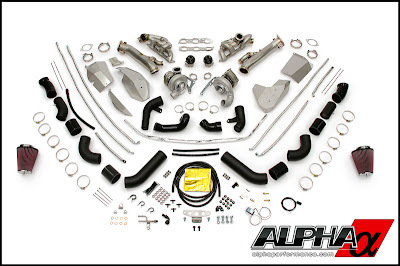 I was very impressed with this setup and was surprised to see how much quicker it was." One lap of America was coming up so I did a review of the SSGT1 class. The Nissan GT-R was the car to beat again. 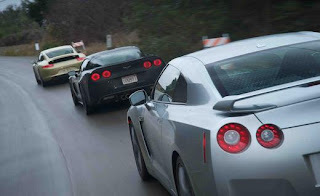 Day 7 of the One Lap of America, and Nissan GT-R's were 1-2-3-5-10. 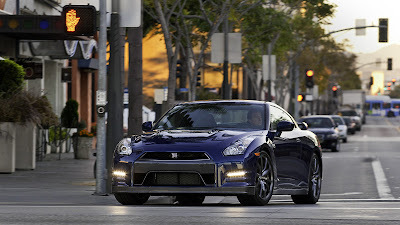 Autoblog drove an AMS Alpha 12 GT-R. A little of what they had to say. "My camera car, which had been running parallel to us for the past couple miles, appeared in the rearview mirror for a brief moment and then became a blur. Caught off guard by the power, and more than a bit terrorized, I missed the manual shift and the engine hit redline. The unburned fuel quickly exploded like twin howitzers out the back end of the muffler – the accompanying flames and black smoke were the embarrassing icing on the cake. 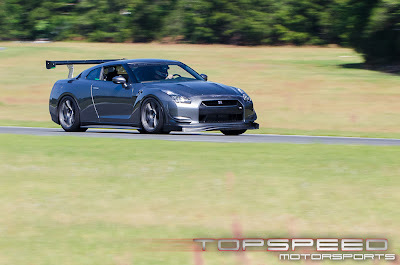 Switzer Performance put its first Nissan GT-R into the 8's last weekend. 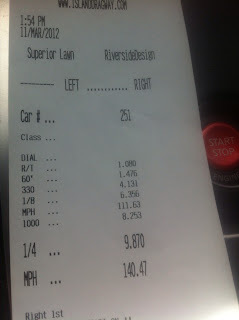 The R1KX did a best pass of 8.97@163 mph at Norwalk Raceway. 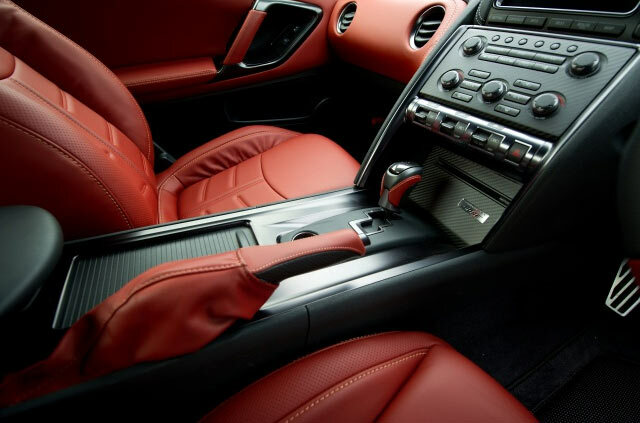 Not only is this a "full weight" GT-R, it actually has a fully customized interior featuring leather and alcantra that puts this GT-R about 300 lbs heavier than a stock car. Next generation Nissan GT-R rumored for 2018. This one we call the smurf. 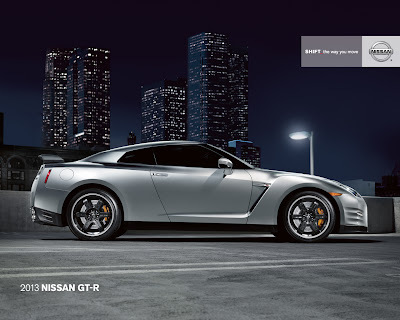 "Originally, the second generation of the GT-R was scheduled to arrive in 2015. " "The big boys in Russia are back at it, throwing down about 3000 wheel horsepower between these two giants. Not too shabby. Not too slow. The UGR tuned Lamborghini did 251 mph in the Dragtimes Moscow Unlimited, so its a healthy car. 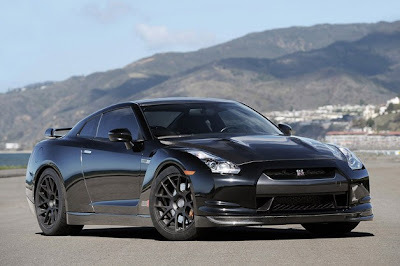 In the video the AMS tuned GT-R hits 224 mph, so it goes OK too. Watch the video below, once or twice, I know I did." 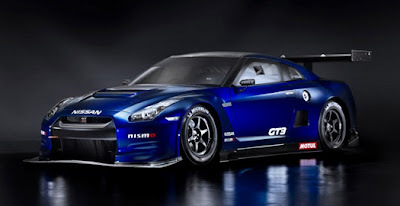 "The 2012 model recorded a 7:21 min lap and 0-62mph acceleration of 2.8 seconds and now the 2013 GT-R has raised the bar still further with a lap time of 7:18.6 min and 0-62mph acceleration of 2.7 seconds." 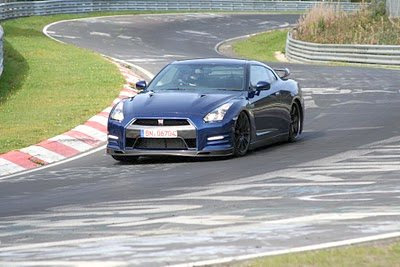 The Truth About Cars talked to the Nissan GT-R's Chief Engineer Kazutoshi Mizuno about the 2014(US) car heading back to the Nurburgring. Even though they managed a 7:19.1 or a 7:18.5 time, Mizuno seems to think the car still has room to improve. When asked whether he thinks the GT-R can best the 7:14 claimed unofficially by the Porsche 918, and even beat the 7:12:13 of the Dodge Viper ACR, the “Godfather of the GT-R” nods.“The car definitely has potential. There is quite a bit of margin in those 7 minutes 18 seconds,” Mizuno says and smiles. Since there really are no "official" times at Nurburgring at anything other than a race event, its all a bit of chest beating by the OEM's. Bragging rights. Commercials. Played on tele-vision, and the internets. Either way there are disputes, and a little bit of sandbagging on the numbers. 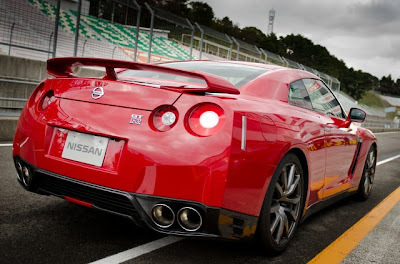 The latest 2014(2013 Japan) Nissan GT-R number was just a little faster than the ZR-1 number.